LISTEN UP! 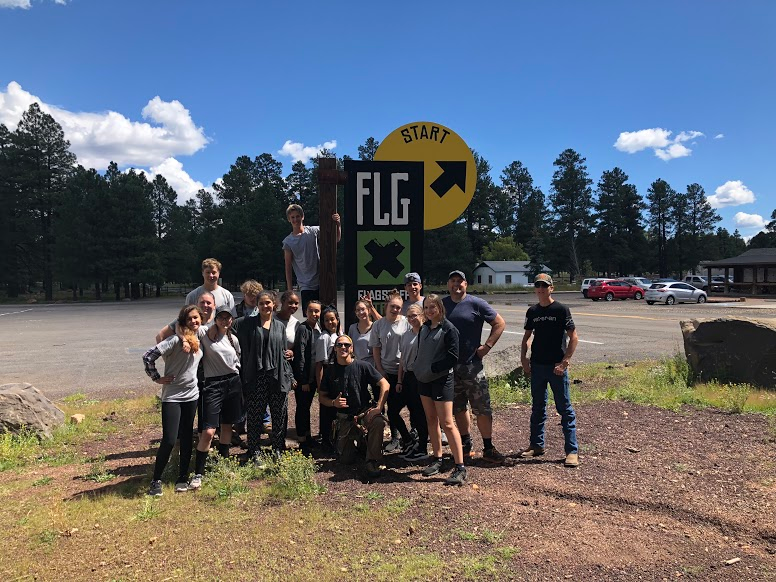 Ash Fork High School has a new leadership development program! 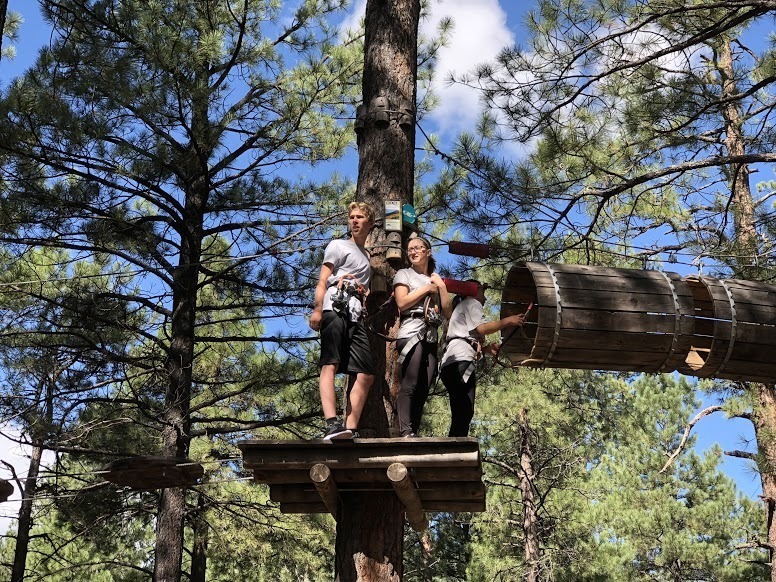 The Cadet Core program is open to all High School students who are open to accept the challenge to take on a program that instills discipline and expects excellence. The mission is to assist students in becoming the best version of themselves. Emphasis is placed on military history, leadership, uniforms, physical fitness and nutrition. 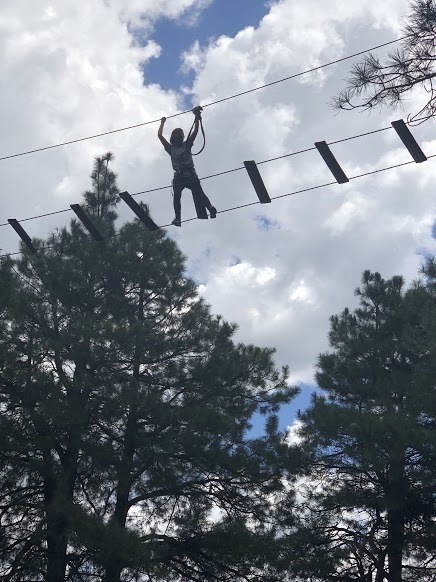 In addition, students will learn how to be responsible in a rigorous environment where uniform expectations are high and discipline is established through drill and ceremony, as well as inspections. 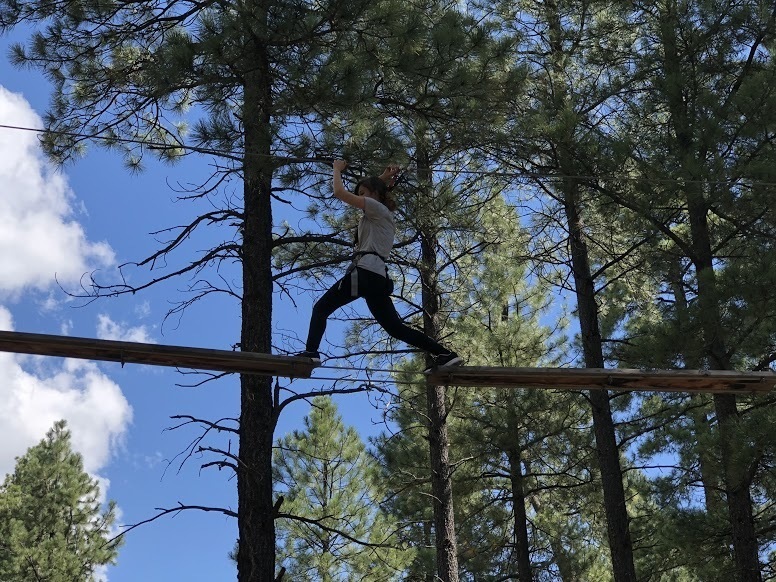 Throughout this course, students will experience hands on training both inside and outside of school grounds. 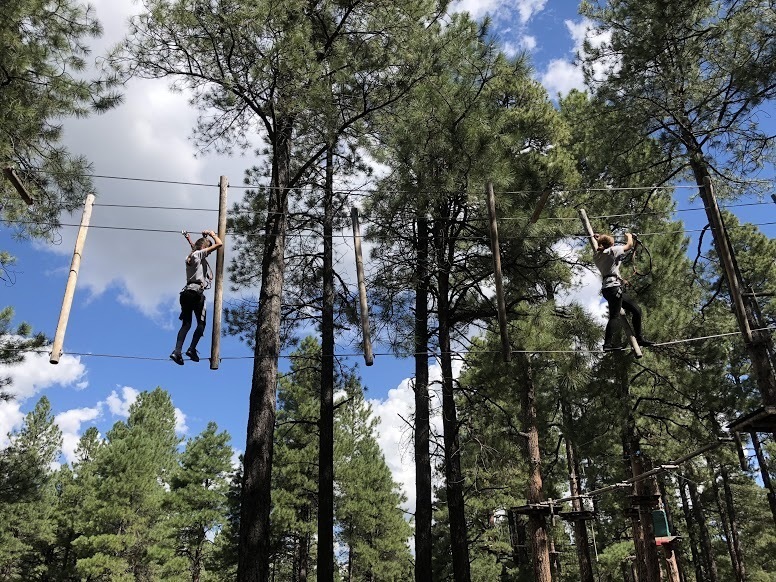 For example, cadets have already faced their fear of heights when they experienced “playing in the trees” at Flagstaff Extreme Adventure Course. Next month cadets will learn about orienteering and will use those skills in a night navigation exercise. They will make shelter, fire, purify water and enjoy MRE’s (Meals ready to eat) in the woods while trying to protect themselves from the “enemy”. We are excited to announce this new leadership program and cannot wait to see what new adventures await! We would like to affirm Ash Fork High School senior, Daren Anderson on his enlistment and future service to our country in the United States Navy as an Air Serviceman! You are an inspiration to us all!